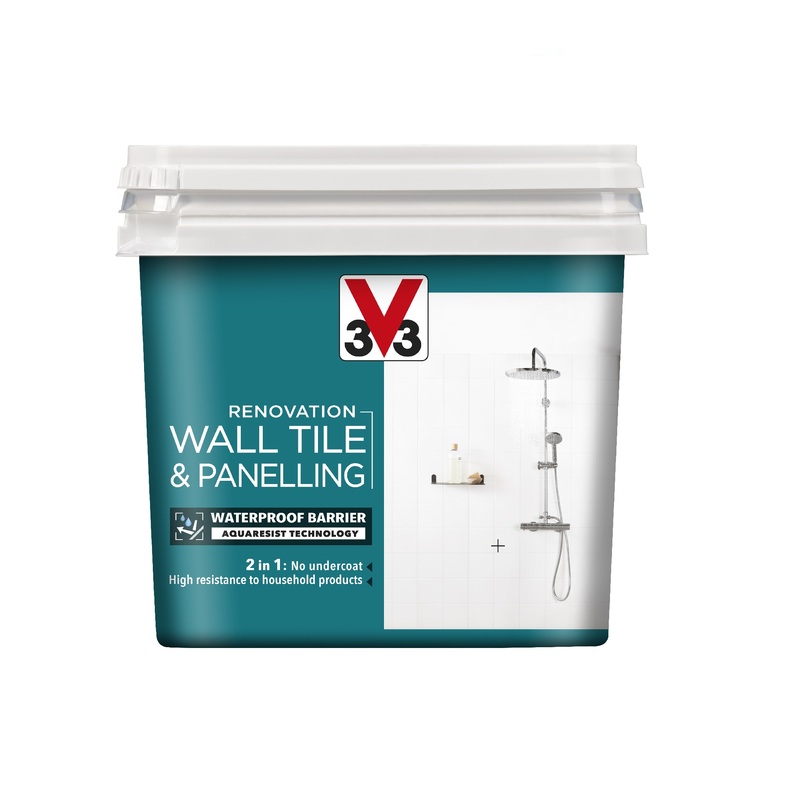 With V33 wall and ceiling products, you don’t need to hire a professional to achieve a professional finish. Whether you’re looking for coloured paints that won’t scratch, fade or flake, easy clean paints for the kitchen or a waterproof bathroom paint that can cope with extreme water temperatures, we can help you to find the perfect product for your project. We design our products to last. We make sure they’re durable enough to deal with the scratches, bumps and knocks of every day life. Our hard wearing paint can withstand frequent contact with water and is suitable for regular cleaning with household detergents. So you can be sure your beautiful paint finish will last. 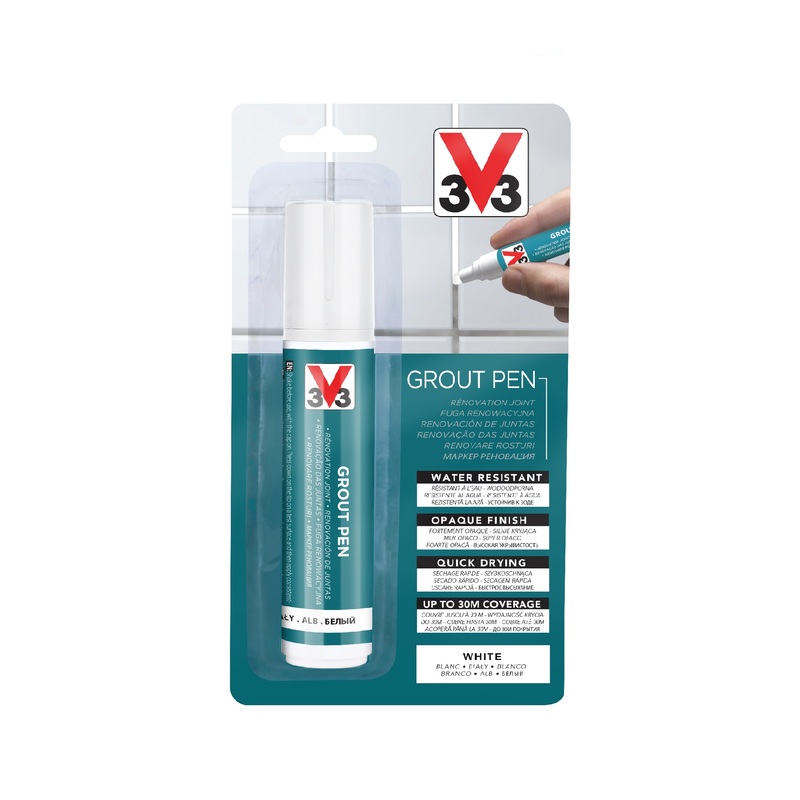 Finish those renovated Tiles & Panelling perfectly with the V33 Grout Pen. This easy application grout pen is water resistant and suitable for kitchens and bathrooms as well as being fast drying and has low odour. For precision it has a felt tip for complete confidence and accuracy. New and Exclusive to B&Q. And see how the V33 Renovation range could enhance your home. Looking for ideas for your home renovation? Take a look at the latest trends here.